The southwestern region is one of the Colombian territories with higher levels of armed conflict affecting mainly civil population. In the Pacific region of Nariño, particularly in Tumaco, all the armed groups acting in the country have made territorial presence there and have committed violent acts. The concentration of ex-guerrilla fighters of FARC-EP in La Playa – a Transitory Rural Zone for Normalization in Tumaco – is reordering the territorial incidence of the other actors of the conflict and criminal structures. 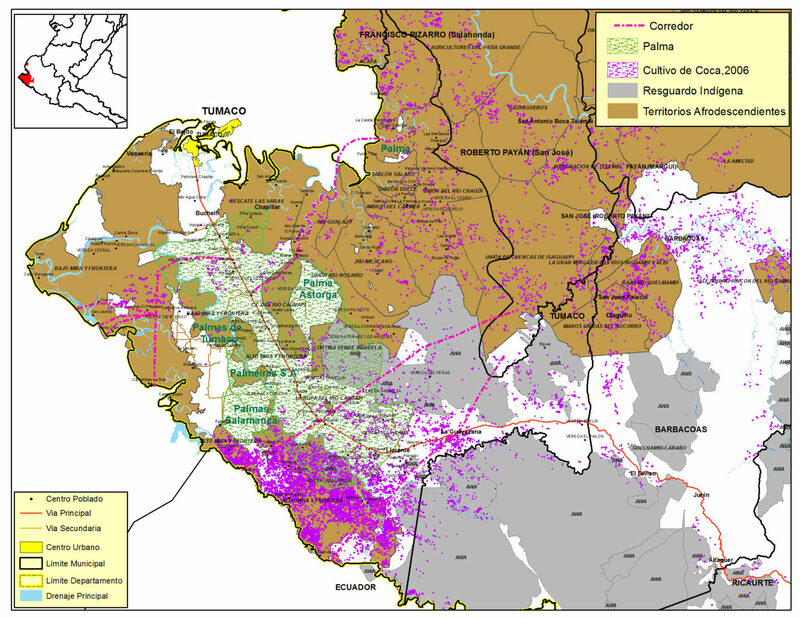 The project aims to understand the territorial logics and socio-spatial dynamics of armed organizations and criminal structures in the territories that were under the influence of FARC-EP guerrilla in the town of Tumaco, Nariño, and formulate ideas for consolidating peace in the governmental and social structure of the region.